Jeanne Black is the Director of Contracts at Varen Technologies. Jeanne has 32 years of experience in government contracting and 15 years of experience in Contracts Administration. Jeanne joined Varen in 2012 and prior to that, held positions in various aspects of government contracting, contracts management and performance excellence at BAE Systems. As Director of Contracts, Jeanne leads a dedicated team in the administration of various contracts and development of corporate policies and processes. Jeanne lives in Maryland with her husband and two children. In her spare time, she enjoys reading, attending performing arts events and volunteering with various organizations in the community. Jeanne is a member of the National Contracts Management Association and AFCEA. 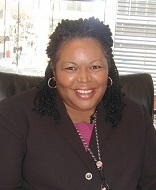 Jeanne received her Bachelor’s of Science in Chemistry from Spelman College and her Master’s degree in Management with a concentration in Contracts/Procurement from University of Maryland University College. Jeanne is a Certified Federal Contracts Manager.